I don’t get how jumping from that bridge is guaranteed death. 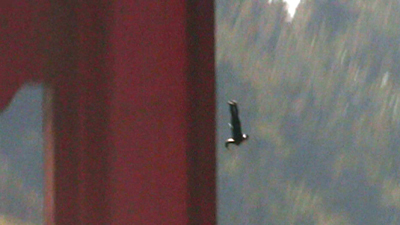 Surely cliff divers do something similar? Is it that high? It is not certain death. People survive. In fact the film interviews one that did live. This documentary inspired a short story of mine. 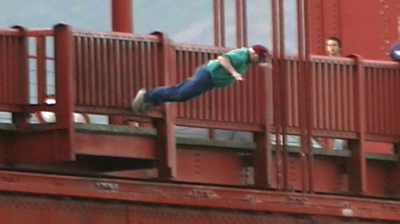 The majority of people jump off the city side of the bridge because that is where pedestrians are allowed. The other side is reserved for bicyclists. You’d quickly gain a lot of attention if you tried walking on the bike side of the bridge whereas you can wander around freely / hang out for a long period of time on the pedestrian side. I think the screen grabs for this review are pretty tacky. Look to the trailer (and the actual film) for a better way to deal with sensitive material like this. I first became aware of the movie via the Apple (computer) website, in the Quicktime trailer section. I was grabbed. While I’ve never attempted suicide, “not to be” has been an option for many years. In almost all objective senses, I’m successful – programmer, employed, modest debt, married, have child, faithful, honorable, healthy physically and mentally. I’m not perfect, but I try to do okay. Despite that, there are complications in my life that make the options of exit possible and practicable. I experience violent scenes of my exit many times a day, sometimes as few as twenty, sometimes as many as a hundred, sometimes at my own hand, sometimes at someone else’s. A coworker exited last year. I grokked. 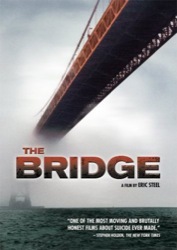 The Bridge is an interesting movie. I purchased it online when it was finally available, and I’ve watched it a few times. What struck me was that some of the people who were focal points of the movie had what are probably organically based mental health issues. 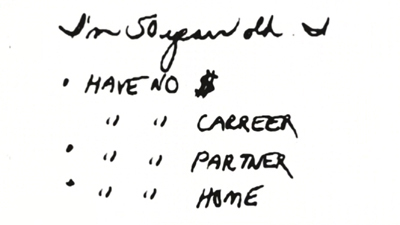 Others, such as Gene, may not have had such issues. 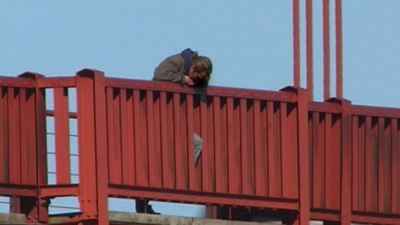 In the past I spent time on a.s.h (alt.suicide.holiday – I can’t believe Google won’t even tell you what a.s.h is on the first page), and found The Bridge to be real. According to the Centers for Disease Control, the 2006 statistics show there were 18,573 homicides throughout the US, or about 50 a day. They also show there were 33,300 suicides, or about 91 people taking their lives each day. While the GGB is certainly a magnet and visible exit point, it’s actually a minor player at one person every two weeks. Regardless, if The Bridge can get people actually talking about suicide, as opposed to preaching about it, I think that’s a good thing. 1300 have jumped and 26 have survived. It’s as certain as death gets!